Huawei Mate 20 Pro Q&A: Your questions answered! 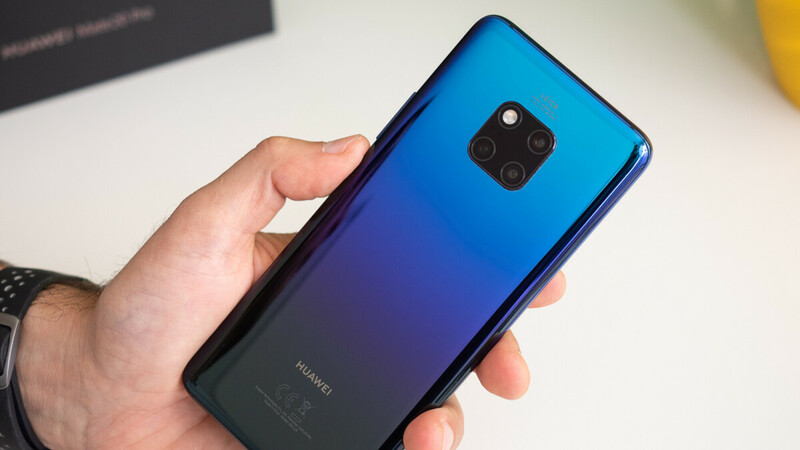 A couple of days ago, Huawei made headlines with its newest attempt to capture the high-end market. 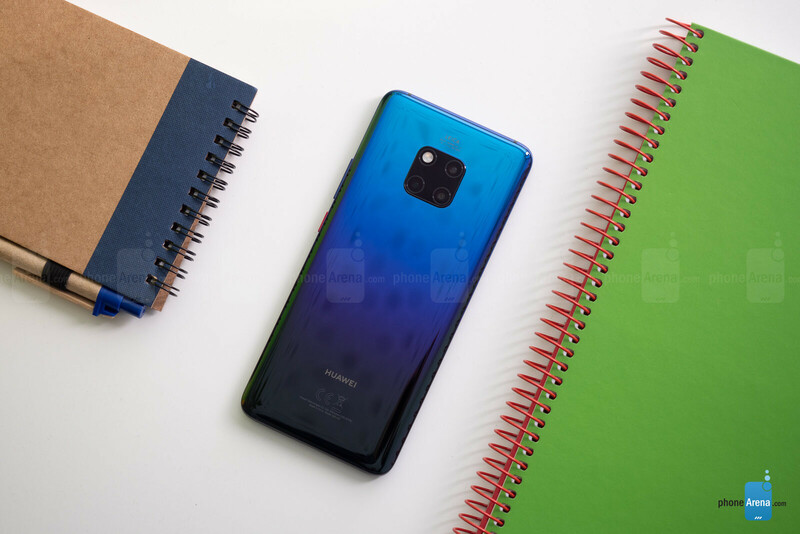 Indeed, the natural habitat of the fresh new Huawei Mate 20 Pro and Mate 20 is none other than the top-shelf Android space, where these two would cosily coexist alongside the Note 9, the Pixel 3 XL, and all other high-end Droids. And rightfully so -- Huawei has really went out of its way to employ as many high-end features as possible. 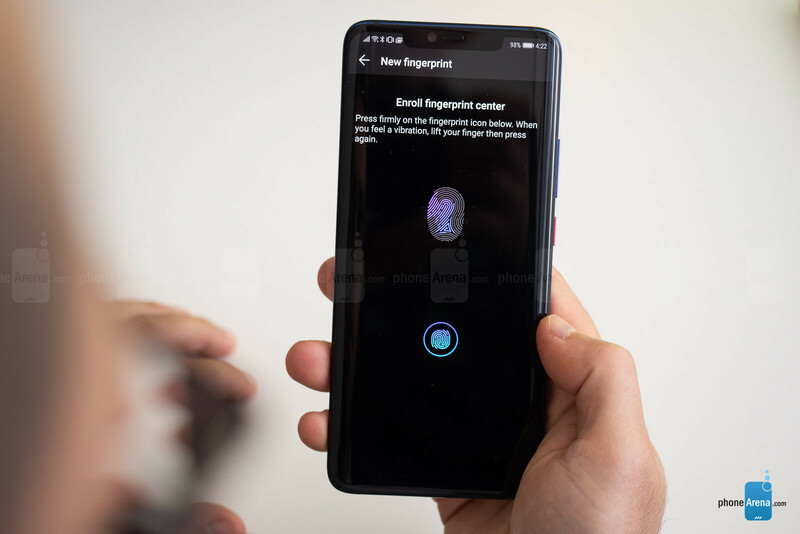 The Mate 20 and Mate 20 Pro are the first devices with under-screen fingerprint scanners coming from a mainstream, well-known brand that is available on a more global scale. Aside from that, the device dons the first 7nm chipset in the Android space, a trio of cameras that should cover all of your photographic needs, and finally, ultra-fast charging on deck. Overall, two devices that sound great on paper, but is the real-life experience just as good as the spectacular specs sheet suggests? So, you asked us quite a lot of questions, and it's time to address those right away! Without further ado, let's embark on a journey to the land of Huawei. Huawei Mate 20 Pro Q&A: Ask us anything! someones4: 1) Can you use the in-display fingerprint scanner without first pressing the power button or using AOD?2) if you don't register a fingerprint, can you still wake the phone by tapping on where the scanner is? Is there double tap to wake on this phone? PA: Yes, you don't need to wake the Mate 20 Pro or even use Always-on Display to unlock it with your fingerprint. Just make sure to remember where the scanner is, but even if you don't, pressing or tapping anywhere on the display would pop up a slightly-visible fingerprint layout hinting you where to put your finger at. As far as your second question goes, we didn't find tap-to-wake functionality of any sort on the Mate 20 Pro. Raise-to-wake is the only related option present here. xzeit: Please, specify type of fingerprint scanner. (optical, ultrasonic, capacitive). Thank you. PA: We are most probably looking at an optical solution to this whole in-display fingerprint business. You might have heard that a little firmer press is required to recognize your fingerprint, and that's correct. We'd speculate that this is required in order to make your fingerprint flatter and its outward ridges more prone to scanning that a simple tap would otherwise provide. wsrobert: Does the Google Photos app lag/stutter like it does on the P20 Pro? Any other daily usability issues? Specifically around system smoothness/fluidity. PA: Well, the app isn't stuttering per se, but we've experienced issues with adding and accessing multiple accounts in either Google Photos and Google Drive. The phone seems reluctant to allow you to easily switch between multiple Google accounts for these two apps in particular. However, we can't pinpoint the issue to the phone or the apps themselves. redmd: I'm eyeing in the Mate 20 x. When will it be available? PA: Mate 20 X pre-orders actually start shippin today, October 26. In certain markets, namely India, Huawei has promised a November release for the Mate 20 series, the Mate 20 X included. Raoufdj: How is the stabilization in 4k's video? Amd what about the display. The display, on the other hand, is excellent in any regard. The screen also gets very bright during the day, and you have the Eye Comfort option for use at night. There is even a Natural Tone mode that adjusts the white balance to the surrounding conditions so you get more natural, warmer white colors at night when you are at home. The Always-on Screen mode is not enabled by default, but it is here and you can turn it on from Settings > Display. BALLAONNABUDGET1: 1. Does the finger print scanner or face scan work with banking apps? 2. Can you use the finger print scanner while the screen is on? PA: Yes, I tried my banking app with the Mate 20 Pro and it works perfectly with the fingeprint scanner. You've never heard of my banking app, but if the Mate 20 Pro is working correctly with it, I am almost certain it will work with yours, too. You can use the fingerprint when the screen is on, the whole screen turns blurred and a fingerprint cutout starts flashing where the sensor is. It's very cool and works flawlessly. BkingT22 1) Has the always on Display become fully featured?? i.e. customization, third party notifications being displayed? 2) How is the sound from the dual speakers ? is it like the mate 10 pro where the bottom still does most of the work and the ear piece is tinny and low but some how still does good stereo sound or can we expect even sound from both? 3) How is the Quality of the OLED screen compared to a Samsung made screen (mate10 pro S9+ etc). PA: You still can't customize the always-on display apart from scheduling its up- and downtime. It truly is a shame that third-party apps don't show up notifications on the always-on display, but some native ones do - for example, missed calls and messages appear on the always-on display as intended. We hope Huawei bakes-in third-party apps, though. The bottom-firing speaker is much louder and deeper than the tinny earpiece one, which might rub you the wrong way, but most phones with stereo speakers these days definitely "suffer" from the same "problem". As an added bonus, though, if you charge your phone with a cable and listen to music on the loudspeakers, the sounds will come off extra muffled as the cable will block the bottom speaker. Finally, the OLED display might not be as exemplar as the one on the Note 9 or the iPhone XS / XS Max, but it's pretty comparable to any high-end phone you could think of. We weren't disappointed, so neither should you. 44alexsmith: Is the Huawei Mate P20 Pro camera better than the Pixel 3 XL's and iPhone XS camera in every area? Is the screen on Huawei Mate P20 Pro clearly visible in direct sunlight(on an extremely bright day)? 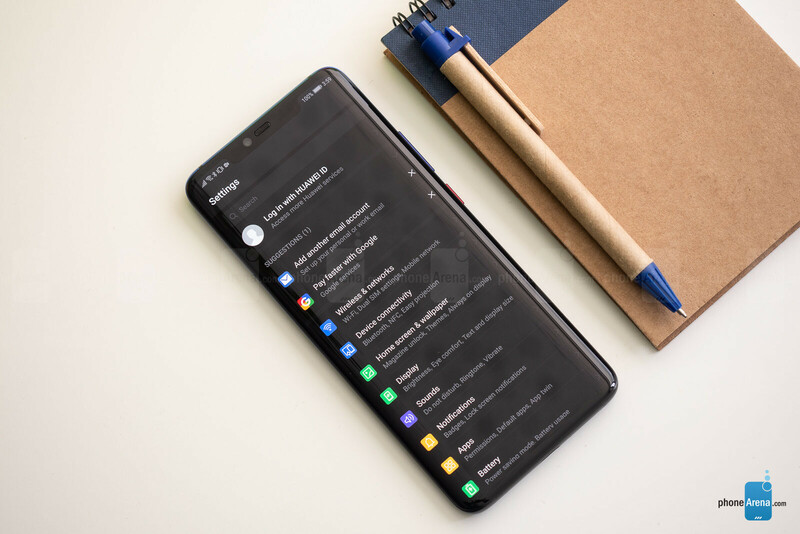 Does the Mate P20 Pro have an over aggressive power management feature like the one found in the small Huawei P20? Is the AOD display customizable? PA: As we mentioned in our review, the Mate 20 Pro is an excellent camera phone that captures photos with a wide range of colors and at different focal lengths, but is just a step below the two current leaders in smartphone cameras, the iPhone XS series and the Google Pixel 3 series. This shouldn't bother you though - the Huawei certainly wins in the versatility section thanks to its wide array of lenses. The display gets very bright and legible in direct sunlight, which is excellent for those who spend more time outside. As usual, do have in mind that this has a much higher toll on your battery life. Speaking of battery, the power management isn't very aggressive - you can keep lots of apps open in the memory and you will have to push things hard before apps start reloading content. The AOD is not customizable - you can only set up- and downtime. worldpeace: Did Mate 20 and 20 pro use the exact same cameras and deliver the same quality? PA: There are some differences. On the Mate 20 Pro, you get: 40MP main camera, a 20MP wide-angle camera, and a third 8MP 3x telephoto camera. On the Mate 20, you get: 12MP main camera, 16MP wide-angle, and 8MP 2x telephoto cam that are humbler in terms of specs. We don't have the Mate 20 on us, so we can't really attest how different that one is compared to the Mate 20 Pro, but we are certain the latter is the better overall performer in terms of camera quality. PA: Sadly, we don't have a Mate 20 unit yet, so many of your questions will remain unanswered for now. As far as the ultra-wide camera's focal length, it's a 16mm, F/2.2 lens that distorts edges, but that's not abnormal with ultra-wides. 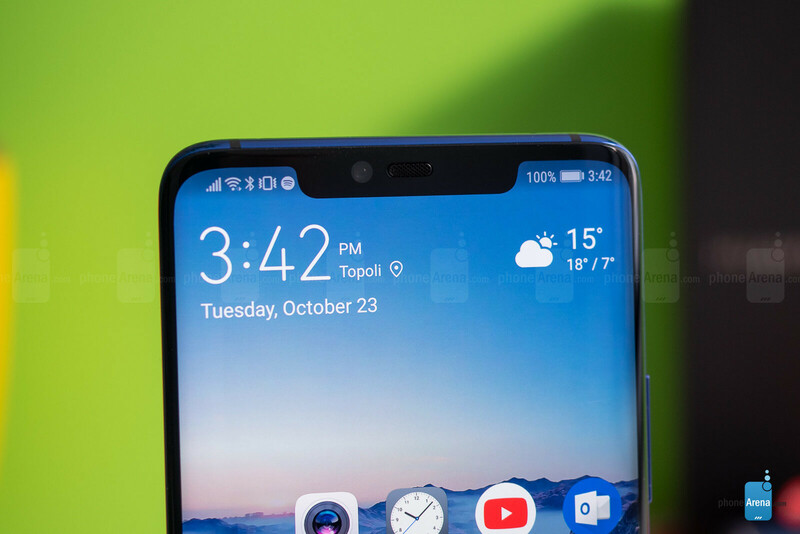 Bondurant: Does the Mate 20 pro have a pre-installed screen protector ? PA: Our unit didn't have one, but have in mind it's a review unit not intended for sale. However, we doubt it that Huawei will pre-apply screen protectors on these phones in particular. dimas: We all know that huawei made their own nano-sd card to lock huawei users to their ecosystem. Are they going to make it compatible with other android device thru adapter? PA: We don't think this would ever happen - the nanoSD format pioneered by Huawei is physically smaller than existing microSD cards. The nanoSD card is as big as a nanoSIM card, so you either buy one of these or you forget about expandable storage. CEDEOTB: Mostly UI Questions: 1. Can I double swipe down on the home screen to pull down the notifications? 2. Can I double tap to wake and sleep? 3. Are the gestures smoother than what OnePlus offers are as smooth as what the iPhone X offers? 4. Can I apply icon packs on the stock launcher? 5. Is that spotlight search copy of the iPhone still there? Or able to be disabled? 6. Is there options for light/dark themes 7. Am I able to change the system font? 8. Is there reachability feature easy to enable? 9. Can you also test to see the speaker quality out of the USB c port with something not connected and something connected? PA: 1. You can't double-swipe-down the homescreen to reveal the notification shade since the swipe-down gesture is reserved for Spotlight Search. 2. No, double-tap-to-wake and sleep are unavailable here. You only get raise-to-wake as a conevnience gesture. 3. The gestures on the phone are more similar to Xiaomi's take on the trendy new interface, but it needs some polishment. Our own Vic Cristoph said it best: "It’s not quite perfectly polished, and here are a few examples why: first, bringing up the multitasking cards from home requires a very long gesture and is too hard to pull off. Second, the back gesture requires that you go from the very edge of the screen, and when you are in a hurry, you don’t always get it right. Often you have to repeat it again and again. Third, when you swipe up to go home, apps close with a very jittery animation. And lastly, we wish you did not have to wait for each animation to finish before you could move on to the next swipe or gesture that you are about to do. Those little things pile up, and while overall gesture navigation on the Mate 20 Pro definitely does work, it also definitely does not feel as polished as one would expect on a premium phone." 4. No, icon packs are not supported. 5. Yes, you access it by swiping down on the homescreen, and no, there doesn't seem to be a way to disable this feature. 6. 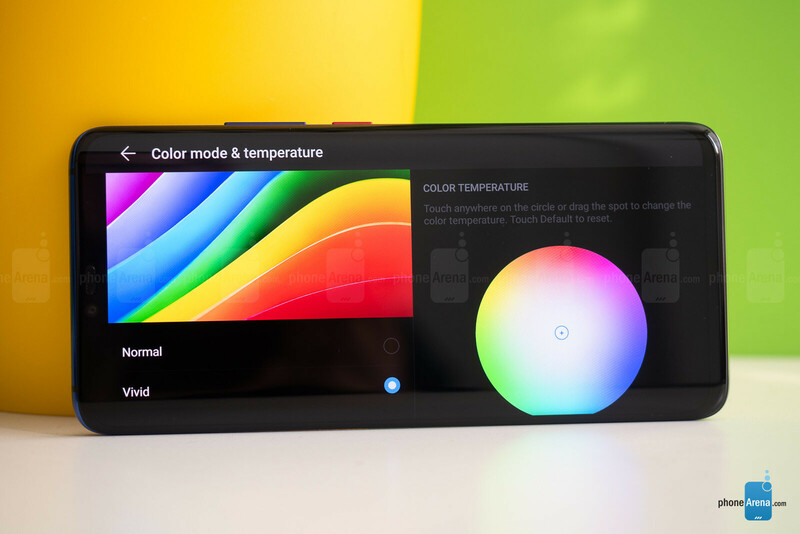 Yes, there's a built-in dark theme in the... Battery menu, which allows you to darken interface colors and apply a dark theme to save power. 7. You can't change the font on the Mate 20 Pro. 8. Yes, there is a reachability feature of sorts, called Mini screen view, and you can access it by either swiping diagonally from the bottm edges of the interface, or swipe left/right from the home button if you use a traditional navigation setups. 9. When you plug in a USB cable in the charging port at the bottom, the overall sound definitely deteriorates and becomes very muffled, which is to be expected - after all, you're blocking the bottom loudspeaker and shouldn't expect the same results. We'd suggest not charging the phone when watching Netflix or listening to Spotify, or at least charge the device wirelessly. You can also resort to Bluetooth earbuds. 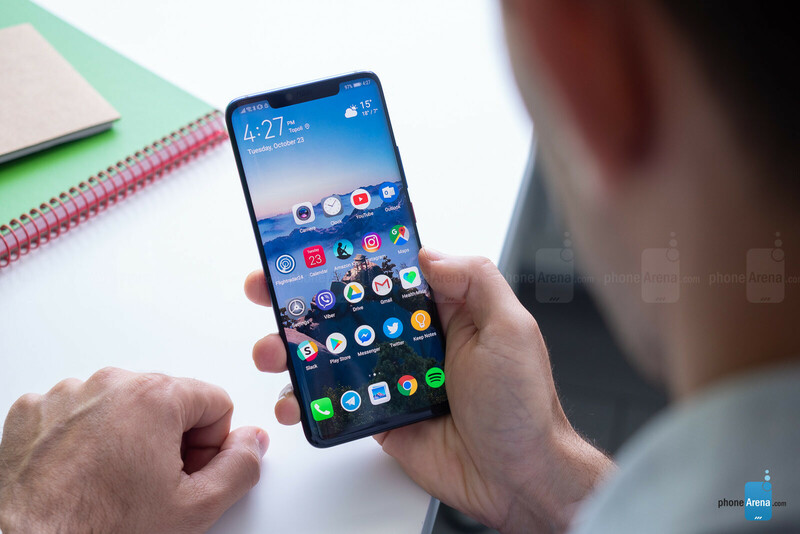 pmsap: Does the in-display fingerprint works with tempered glass? Battery life?? 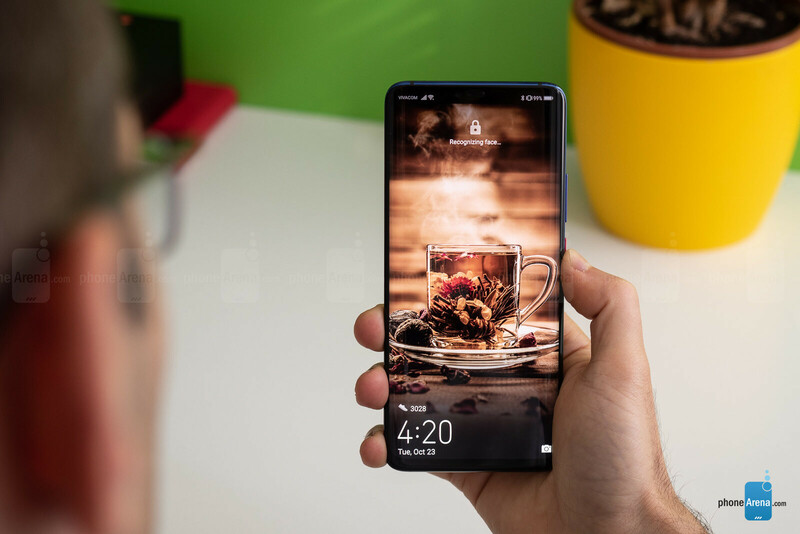 PA: Yes, we are happy to report that the Huawei Mate 20 Pro's in-display fingerprint scanner works as intended with tempered-glass screen protectors. Don't worry! As far as battery life is concerned, the phone would easily last you a day, even a day and a half with moderate-to-heavy usage. If you're a light user, which is unlikely given that you are asking about a poweruser phone, you are porbably looking at two days or more of mixed usage. Great! AhmoZ: 1) How's the screen-on time? 2) Which of the three lenses has OIS? 3) Does notifications appear normally on lock screen? 4) How about aggressive app killing? 5) How does the front-facing camera perform? Finally, is the unit in your hands a final retail unit or just carries an unfinished software? PA: 1. We averaged 6 hours of screen-on time, give or take an extra hour here or there. We haven't pampered the device or gone on a quest to eke out as much screen time out of the battery as possible, we used the phone as a regular Joe would. Of course, your mileage WILL vary. 2. The telephoto lens is optically-stabilized, the ultra-wide one is not. 3. Yes, notifications appear normally on the lock screen, but third-party apps don't appear on the always-on display, only several native apps do (calls, text messages). 4. The memory management is not very agressive in our opinion - we have no qualms with it so far. 5. The front-facing cameras performs admirably, on par with the Galaxy Note 9 and the iPhone XS Max - it's very good. 6. CEDEOTB: How fast does the reverse wireless charging work? PA: It's not very fast - we wirelessly charged our Galaxy Note 9 merely 1% in 10 minutes. You can clearly see it's a gimmick. Right, I can't wait for BGR's review. I'm sure they'll mention "iPhone" at least 10 times in Mate 20's review, just like what they did with Note 9 and Pixel 3. Could you try out the double channel GPS? What about the it's precision? Why 8.9 only being a beast in comparison to icrap having 9.3?! Can you enlighten me iPhoneArena???? Mate 20 pro copied iPhone X UI, notch, Face ID and iPhone X gusters including galaxy S9 plus desgin just another iPhone Samsung wanna be funny thing the Kirin 980 7nm as Huawei mentioned most powerful android Soc still can’t runs 4K @60fps Lol. but it runs xvideos in 4K @60fps without any problem at all? Dude, chill. 8.9 is still a really good score. $1315 outright before tax at one carrier, cdn. Some cdn carriers are including extras like watch, tablet etc. I live in America where the only thing I can get anytime I want is an overpriced coffee and a cheeseburger. I want this phone so bad. I live in America and I got a p20 pro off eBay. It's amazing! Do you happen to be on T-Mobile? If not, that's okay. How's the service? GPS, data, proper bands, Play Store, etc. Meever had a Huawei phone before but it seem like this is the company everyone should be paying attention to, not Samsung. The camera is in some ways a step below the P20P, go check out GSMArena's set of night samples in their review. They most certainly don't have the most advanced software, the night shot mode of the latest GCam update does a far better job than what Huawei's two generations of night mode have managed. "a myth"? I saw many samples myself. I can't speak for you though if you can't properly assess image quality. In daylight P20P has never surpassed the then Pixel2(I imagine most improvements since Pixel3 will be migrated to Pixel2 through software updates) in terms of detail rendition, and the difference was greater than the pixel count suggested(Pixel2's 12MP output downsized to 10MP was still much sharper than P20P's 10MP native auto which was already downsampled from 40MP). In terms of DR Pixel2 also had a slight advantage despite the significantly smaller sensor. The advantage was maintained until regular night shots with street lights and only lost when illumination was worse than that. While there's no direct comparison of the Pixel3 with Mate20P, I as well as others have observed that there's a regression on the Mate20P of the general quality of midtones and shadows from regular auto output in low light, compared to the P20P, while Pixel3 is at least on par with Pixel2 and has an extra night mode. We shall see direct comparisons very soon though. Hello, i have recently bought a Huawei mate 20 pro and i have a problem with the fact that when i receive a phone call, i can only see it when looking in contacts and missed calls. It doesn't remain on the screen, i receive no notification about the missed call. I cannot find any setting to solve this problem. Can you please help me? Is there anything i can do or is it a general thing for this phone?